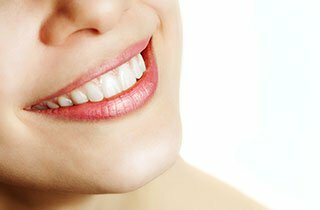 Home » BLOG » Cosmetic dentistry » Teeth whitening – What kind of teeth bleaching methods are available? When an important meeting comes up we often think about how we could look more appealing. We may realize soon that our smile is not perfect, or at least, it’s not as beautiful as we would expect it to be. Should we feel that the color of our teeth frustrates us, distracting us from important things, it is recommended that we look for potential modern solutions. What is bleaching and what results does it provide? What bleaching options can we choose from? What should we keep in mind after bleaching? How often can bleaching be applied? Can we achieve a long-lasting effect? Are there any factors that interfere with bleaching? The discoloration of our teeth through the years is a natural process. Coffee, black tea, red wine, some spices and vegetables or smoking can all promote and accelerate this process. Certain medicine, as antibiotics and iron supplements may influence the color of our teeth as well. During bleaching we may achieve a tooth color that is a few shades brighter than that of the original teeth. When we have found the most potent method, our teeth can be 6-7 shades whiter. What bleaching options can wee choose from? If we have decided that we would like whiter teeth, we have several options to choose from. Methods that are applicable at home may seem the most convenient as there is no need to arrange a date to consult a doctor, and we can choose from several modern products in our favorite drugstore. We may opt for whitening gels or powders, strips that dissolve on the enamel or a special pen to treat our discolored teeth. Regularity is very important in each case. We should not be lazy, and always find time for treating our teeth according to the description of the product. Also, we have to pay attention to the warranty of the product as well as to how frequently the treatment should be repeated. We must be patient, and as precise as possible, so that the results are impressive. It is even more convenient for us to seek treatment in a clinic environment, as in this case our doctor takes care of everything, and provides instant, professional results that could otherwise be achieved in weeks. Bleaching at a clinic takes about an hour, and similarly to other treatment methods, there is no pain involved. During the process, our doctor applies gum protection gel, and after the application of the whitening gel, activates the substance with the help of UV-B Ray. Finally, the teeth are coated with a protective layer. Splinting is also an effective method that can be applied at home. Using this method, we can whiten our teeth in a familiar environment while still enjoying all the advantages of professional assistance. Our dentist will take an imprint from both our upper and lower dentures. The so-called splint is filled with a special whitening gel and then attached to our dentures. It is a convenient and simple solution to apply the splint for the night, so that we do not have to struggle with it during our daily routine. We have to use the gel for approximately 7 days so that the desired shade is achieved. It is not recommended to consume acid food or drink, or even smoke within a few hours after treatment, as the tooth is still a little sensitive in this period. Also, the use of fluoride toothpaste is advised. Depending on how much discoloring substance our teeth have been in contact with, it is recommended to repeat treatment every 1-2 years. Beside paying attention to general oral hygiene, our eating habits also influence the effects. If we are able to stop consuming acid food that is responsible for the discoloration of our teeth, they will prove grateful. Chances are that we will need bleaching less frequently. Can bleaching be applied in the case of dental implants, prostheses and crowns? Regardless of the type of dentures we have, the methods listed above can all be applied. However, we must be aware that the dental prostheses cannot be whitened. Before bleaching, we should consult our dentist and ask them whether the replacement of the prosthesis is necessary and recommended. Bleaching can be applied for any patient dissatisfied with the color of their teeth. Still, it must be noted that only healthy teeth can be whitened. Before treatment, we have to make sure that we have no dental problems. Caries and the bleeding of the gums, for instance, must be treated before starting the beauty process. Whitening materials usually contain hydrogen-peroxide, carbamide-peroxid, or sodium-perborate. During the whitening process, if the treatment is carried out by a dentist, dental tissues are not harmed, and teeth sensitivity vanishes in a few days.